It was a relaxing weekend here in DC and even though we are still dealing with off and on rain, the sun made a few appearances. Today I thought we would look at a trend that isn't necessarily my favorite style but figuring out how to make it work for me. The bohemian trend. Breezy, cool, and twirly (yes that's the technical term). I'm more of a fitted or structured kind of girl, but I can take the maxi skirt boho trend and make it work for a more streamlined look. 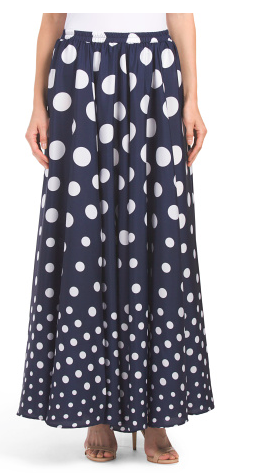 This skirt is going to be a workhorse in your summer wardrobe. Crisp white with a faux wrap silhouette. Major sale alert! 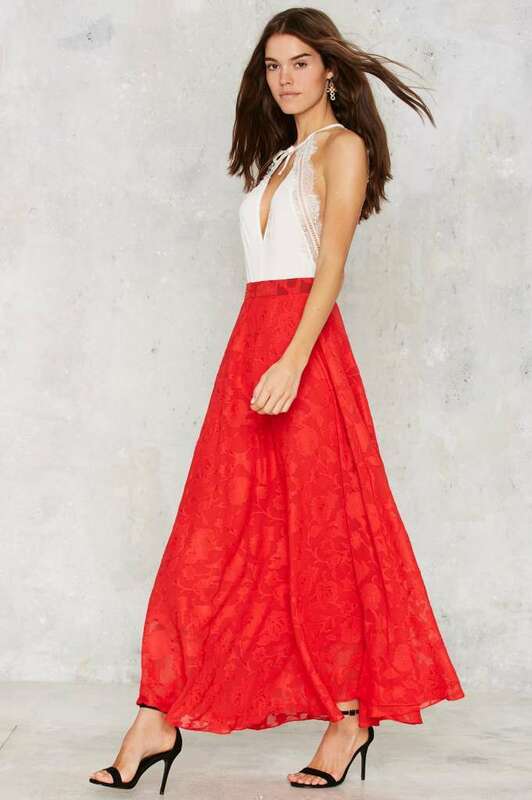 How gorgeous is this red skirt? 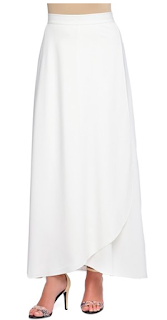 Zoom in and you can see the feminine lace overlay. 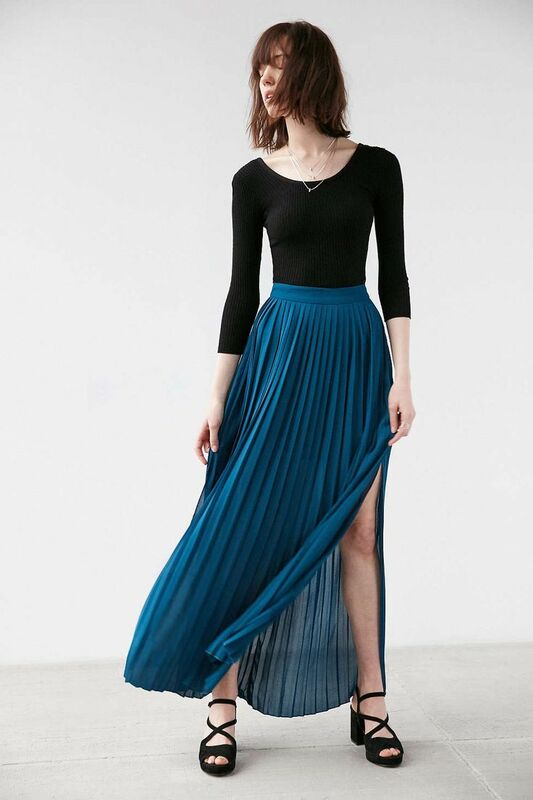 A beautiful blue and pleats that will make your legs look model-like long. I'd pair this print with a contrasting one on top like a pink pinstripe of floral. While the boho trend isn't in my comfort zone, I can play with a piece of this style that work for me. Don't shy away from trends, make them work for you! 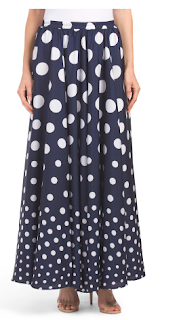 These skirts are so dreamy, I love them!